Joint pain is an unpleasant symptom that develops in individuals who have arthritis, a term that really refers to over a hundred different diseases that can affect numerous parts of the body – including, of course, the joints. When someone is diagnosed with a type of arthritis, they are provided treatment options based on their particular details, such as how severe their conditions are and the type of arthritis they are suffering from. Unfortunately, these treatment options can lead to unpleasant adverse effects that may further inhibit the affected person’s ability to enjoy a normal life and participate in everyday activities, such as taking a jog or even low-intensity activities like cooking. Many alternative solutions have been developed, such as natural extracts that help to reduce inflammation and pain, as well as (in some cases) rebuild the cartilage that has broken down. Glucosamine is one particular treatment option with a lot of potential, but vegetarians often have to look the other way since this ingredient is primarily extracted from shellfish. Fortunately, numerous sources of vegetarian glucosamine have been discovered. How are Arthritis and Joint Pain Usually Treated? We should start by looking at how arthritis and joint pain symptoms are usually treated before we look at glucosamine as a potential alternative treatment method for these particular problems. It is important to understand that arthritis is not currently considered a curable disease; thus the symptoms of these diseases would rather be treated instead of trying to actually cure the disease. Arthritis Research UK that painkillers are the most common drugs used to help affected individuals experience a relief in the joint pain they are experiencing. These are often also called analgesics, with paracetamol being the most popular options. Apart from painkillers, nonsteroidal anti-inflammatory drugs are also very common amongst people with arthritis and even those with joint pain in general. There are many different kinds of NSAIDs available on the market – some of them can be purchased over-the-counter at a local pharmacy, but the stronger versions can only be purchased when a doctor has prescribed a series of these for a particular patient. The most common types of NSAIDs include aspirin, ibuprofen, naproxen and celecoxib, as reported by Spine-Health.com. Unfortunately, these drugs often lead to side-effects that may be unpleasant and interfere with the user’s ability to perform certain tasks. WebMD reports that NSAIDs, especially the more potent ones, can lead to stomach pain, heartburn, headaches, dizziness and an increase in blood pressure. Some patients have also experienced the development of a stomach ulcer as a side-effect from using NSAIDs. When aspirin is used to treat the symptoms, a person may also be more likely to bleed. Furthermore, users may also experience allergic reactions, and continuous use of NSAIDs have been linked to kidney and liver problems. Apart from the above-mentioned drugs, a doctor may also prescribe a type of disease modifying antirheumatic drug for the patient. These drugs have been developed to help suppress the inflammation that is causing damage to cartilage in the joints. In many cases, the use of these drugs, also referred to as DMARDs, can help to suppress the progression of the diseases that are causing damage to the joints. What Is Glucosamine and How Effective Is This Natural Treatment Option? Before we take a look at vegetarian glucosamine and how they can benefit you if you are following a vegetarian lifestyle or, of course, a vegan lifestyle. we should first discuss what exactly glucosamine is. Firstly, it is important to understand that glucosamine is a compound that is already found naturally in the human body. The body produces this compound to assist with the production of cartilage molecules, according to MayoClinic. Glucosamine is often used as an alternative, natural treatment for arthritis and other conditions that cause joints in the body to be painful. Quite a large number of research studies have been conducted on the use of glucosamine for joint pain, arthritis and related conditions, and a lot of positive results have been observed in these studies. In some patients, glucosamine is also used to help lower the dosage of drugs that a person has to take to manage the symptoms they experience that is caused by arthritis. The supplement is often combined with nonsteroidal anti-inflammatory drugs, also known as NSAIDs for short. The major benefit is primarily the fact that, by reducing the dosage of these drugs, the affected individual will not experience such a significant amount of side-effects that these drugs often cause. Glucosamine is usually extracted from shellfish. Unfortunately, there are a significant number of people that are unable to utilize these supplements due to various reasons, such as living a vegetarian or vegan lifestyle, or being allergic to shellfish. A study conducted by the Mount Sinai School of Medicine in New York reports that they recently completed a survey and found the approximate prevalence in the United States to be around 2% for the adult population. While this may seem like a minor number, it still accounts for millions of Americans. The alternative to this type of glucosamine is vegetarian glucosamine, a similar type of compound that is extracted from vegetable sources instead of shellfish. 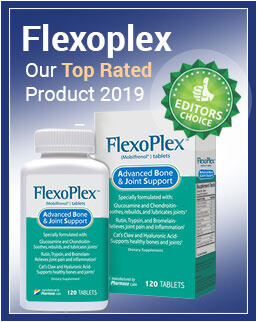 This makes glucosamine, an effective natural treatment option for joint pain, available for everyone – including those that are allergic to shellfish or living a lifestyle that does not include the use of any animal-based products. 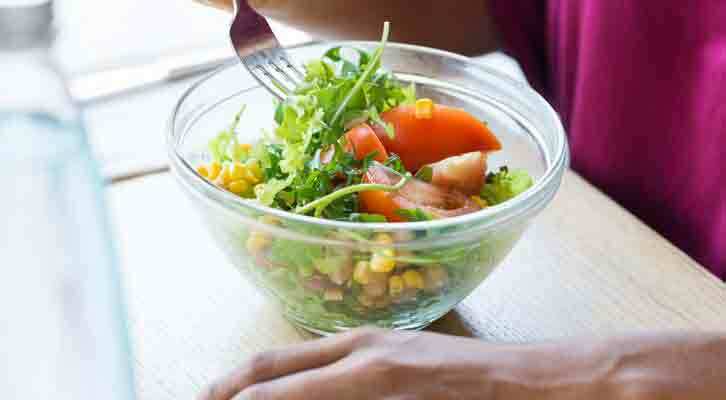 Easy Vegetarian Diet reports that vegetarian glucosamine is produced from fermented corn and wheat, and is often combined with manganese and vitamin C to make it more effective. Arthritis can cause severe joint pain, as well as the breakdown of cartilage. This can lead to bones rubbing against each other when the affected person moves, which can be painful. Untreated, the disease can lead to deformed fingers and toes, as well as disability in the long run. While treatment options can help to manage the symptoms, they often come with consequences in the form of side-effects. Vegetarian glucosamine poses as an effective solution for reducing joint damage and rebuilding damaged cartilage in affected people who are living a vegan or vegetarian lifestyle.